What exactly is contemporary architecture? It is usually defined as the architecture of the present day. As you can imagine, this definition can lead to confusion. One might think that any recently constructed building counts as an example of contemporary architecture, but this is clearly not the case. Contemporary architecture is based on a principle that is shared by all those who practice it: the desire and the will to design and build things that are different from what was done in the past and what is usually done today. Contemporary architecture aims to break away from the processes and ways of thinking that have become standard. It is innovative. Contemporary architecture isn’t an architectural movement. Architectural movements, like the Baroque, Futurism, or Modernism, are always associated with a precise historical period. An architectural movement is a particular architectural choice that claims to act as the precise reflection of a society. Since contemporary architecture is not an architectural movement, it is not subject to this constraint. It is not a school of thought. This means that contemporary architecture can offer a multitude of architectural choices, provided that they stand out from what is normally done. However, the high level of variety doesn’t stop some common traits from being observable within contemporary architecture. This is what we will examine now. All we need to do is to look around to see that the dominant line in architecture is the straight line. Contemporary architecture tends to distance itself from this habit by opting more often for curved lines, instead. In some cases, a building is entirely designed around curved lines. In other cases, both curved and straight lines are used in the same building. The use of curved lines also makes it possible to create spaces that are not simply cubes, as is the case with straight lines. So, in contemporary architecture, one sees building with rounded shapes. When contemporary architecture does make use of straight lines, meaning that the unit of volume is a cube, it attempts to assemble these cubes in surprising ways so as to create a distinctive composition of volumes. Like rounded shapes do, this composition also allows for the creation of interior living spaces with unusual layouts. 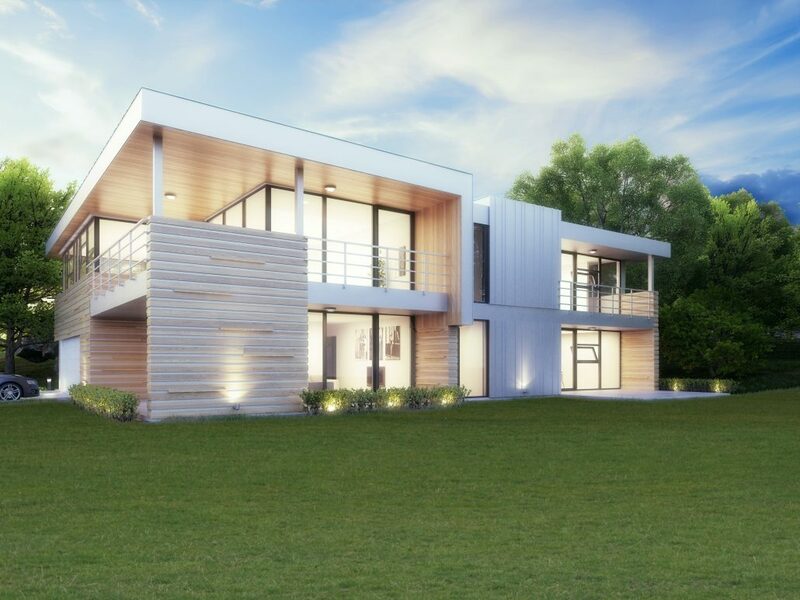 If you aren’t shy about flaunting your difference and if you like the idea of living in a nonstandard living space, contemporary architecture is for you. Another feature of contemporary architecture today is the use of new materials for both the interior and the exterior. Traditional materials like glass, wood, brick, and metals are preferred. Plants also have their place within contemporary architecture, particularly on roofs, but also, increasingly, on the walls. If you have a green thumb, you can take advantage of this trend towards revegetation and grow a vertical garden; for example, by growing climbing tomato plants all over a wall. Larger and more plentiful windows are also a characteristic of contemporary architecture. Multiple openings and their uncommon positioning, panoramic windows, window walls, and skylights have all entered the playing field. One of the consequences of this kind of fenestration, beyond creating spectacular views, is that it makes full use of the sunlight: first of all as natural lighting, and secondly, to take advantage of passive solar heating. If you love natural light or enjoy spectacular views, contemporary architecture is for you. But be careful! If you care about privacy and are planning to build in an urban setting where there are neighbours nearby, some clever thinking is required when it comes to windows. heating, heat pumps, heat exchangers, and thermal collectors is considered, with the goal of producing heat in new ways and conserving it. In the field of residential construction, for example, the aim is to integrate the home perfectly into its natural surroundings. The purpose is not only to protect the surroundings from disturbance, but to turn them into one of the architectural elements that gives the home its own, special character. 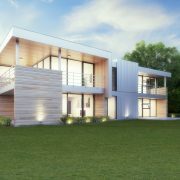 If environmental responsibility and the reduction of greenhouse gasses are among your priorities, contemporary architecture will satisfy you because it allows you to build a home that far exceeds current environmental standards. For lack of a better term, animated architecture is the name given to another characteristic of contemporary architecture that exists in several forms: sophisticated exterior building lighting, projections on facades that are often capable of interacting with passers-by or the users of the building, and water, which has reappeared in the form of fountains of every type, waterfalls, and jets of water that may even be coloured. The idea is to make the building feel more alive and to make its outer portions more animated. First of all, here are some examples of institutional or commercial buildings. 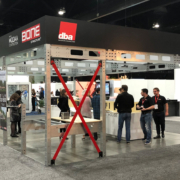 The reason for this choice is that these buildings, with the benefit of a large budget, put spectacular architectural ideas on display and clearly demonstrate the key elements of contemporary architecture. 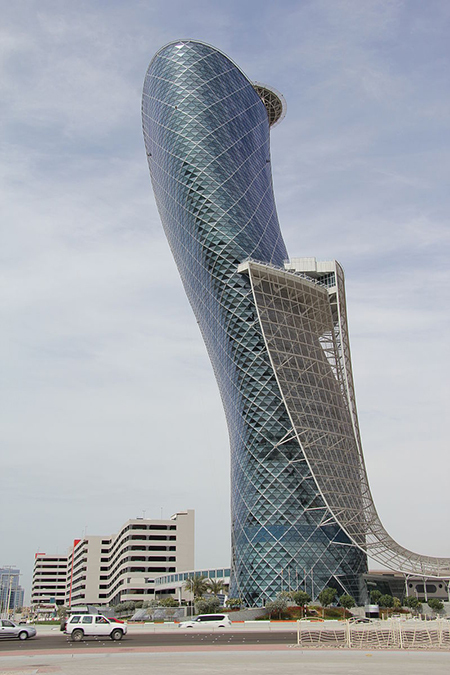 The Capital Gate tower in Abu Dhabi, United Arab Emirates. This circular, 35-story tower has an 18-degree tilt in the middle, making it the most inclined building in the world. What’s more, the interior layout provides spaces that are all different; none of the rooms are identical to each other. 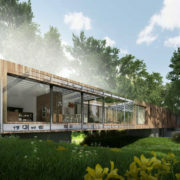 A design by the Scottish architecture firm RMJM. 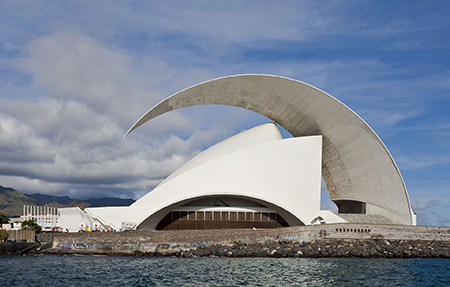 The Auditorio de Tenerife, an auditorium with a rounded form and an arched canopy overhanging it, which also has a rounded form and appears to defy gravity. Created by the Spanish architect Santiago Calatrava. The Sydney Opera House, whose form is reminiscent of a ship’s sails or a collection of giant stacked seashells. Although it was inaugurated in 1973, this structure remains a reference point of contemporary architecture. It is the work of the Danish architect Jorn Utzon, now deceased. 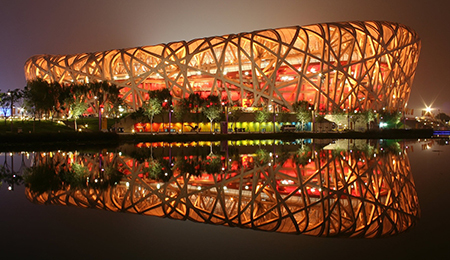 Those who watched the 2008 Olympic Games will no doubt remember the Beijing National Stadium, nicknamed the Bird’s Nest, which incorporates both straight and curved lines. An achievement of the Swiss architecture firm Herzog & de Meuron. And don’t forget to add the Guggenheim Museum in Bilbao, Spain to the list. Covered in titanium, it is the work of Frank Gehry, an American architect born in Canada. But don’t imagine that contemporary architecture is absent from residential construction. It is there, for sure, but since residential buildings are more modest, they are less spectacular. They are still very much contemporary. Here are a few examples. The EKO apartment building in Montpellier, France. Note the irregular shapes chosen for the building and its windows, despite the use of straight lines and cubic spaces. 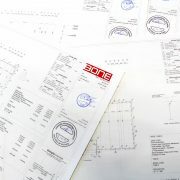 Designed by ECDM Architects. A house in Grenoble, France that architect Gérard Gasnier renovated according to the principles of contemporary architecture. Note the use of natural materials, rounded forms, and extensive fenestration. 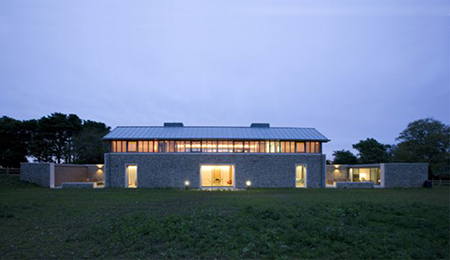 The Long House, created by the British architecture firm Hopkins Architects, is located in the Norfolk countryside in Great Britain. This house is essentially constructed lengthwise. Note how this architectural choice allows the interior living spaces to be given an unconventional layout. The main thing to remember about contemporary architecture is that it tries to distinguish itself from conventional architecture through new architectural ideas. For example, the goal of giving a building an unusual form is obviously to surprise, to astonish, and to alter perspectives. The use of volumes other than cubes makes it possible to create different interior spaces. But regardless of the architectural idea, the name of the game in contemporary architecture is audacity.